One of my sweet bloggy friends Nancy from Do Small Things With Love is always sharing such amazing embroidery projects that make me want to whip out my dusty sewing supplies. 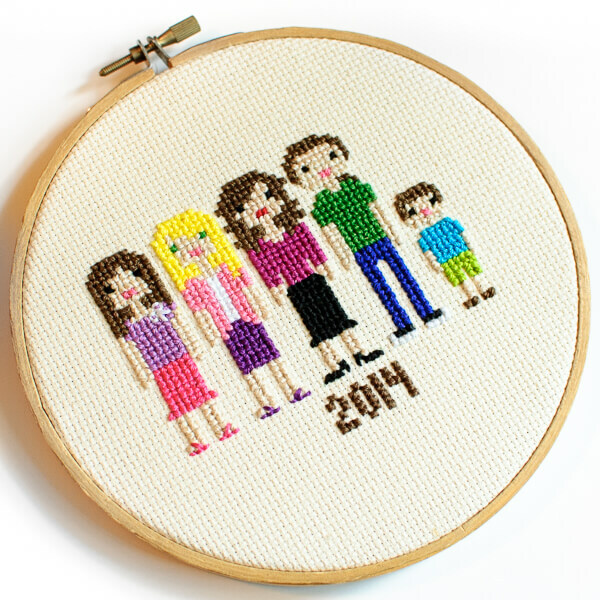 But when I saw her most recent Cross Stitch Family Portrait I couldn’t hold back any longer!! Luckily she had all the information on her site I needed to get started, including a handy grid template (you can download the grid here) and some patterns to help draft out my family. I pretty much used her mother, father, and little boy figures as is (with a tiny tweak or two) but had to improvise for my older girls. Aren’t we cute?! I am so, so in LOVE with it and just had to share this amazing idea with my crafty friends. I hope you are as inspired as I was to make one too. And of course I can’t wait to see them too! 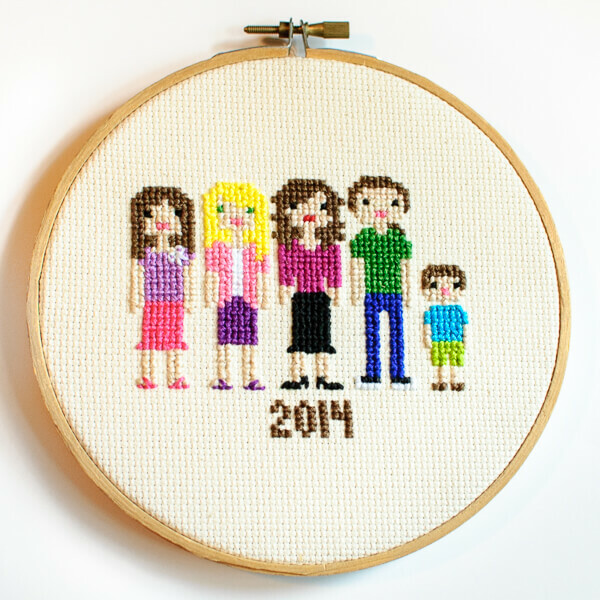 Next on my list … a long overdue cross stitch wedding portrait like Nancy’s here. 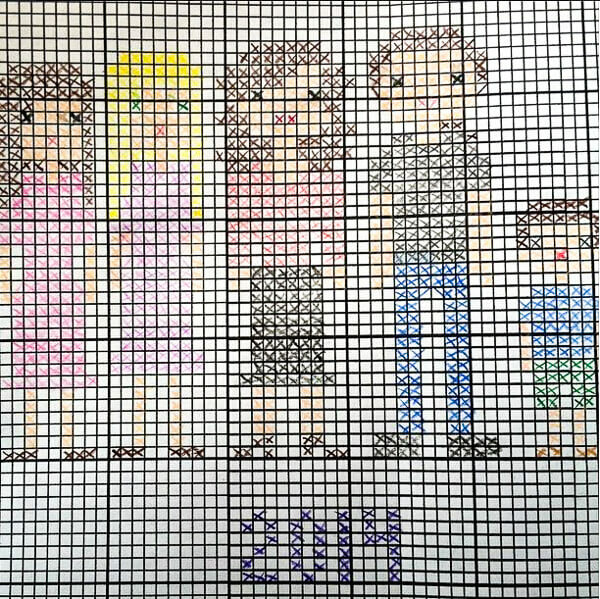 ican you send me the pattern for cross stitch family portrait by mail? i am not good with computersi ………………………………………………………………………………………………………………………………………………………………………………………………………………………………………………………………………………………………………………………………………………………………………………………………………………………………………………………………………………………………………………………………………………………………………………………….re…………………………………………………………………………………………………………………………………………………………………………………………..aally….. Thank you so much, Stef! You ladies are inspiring me! I love that she made it easy by making a template for everyone – this turned out beautiful, Kara! That is adorable! Nice looking family. LOL Cross stitch is on my list of “to be learned” someday. Hopefully soon. That’s adorable! I may need to dust my supplies off too! Oooh … I hope you do! It was so much fun!